The world’s largest mural, located in Pueblo, will be razed later this year due to plans to refurbish the levee it’s painted on. CPR contributor Shanna Lewis talks with artists and community leaders working to preserve portions of the nearly three-mile long mural before its demolition. Denver-based director, designer and producer Henry Lowenstein died Tuesday morning at 89. 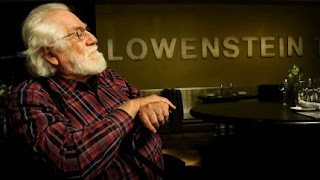 Chloe Veltman speaks with Denver filmmaker Donnie Betts, who has been working on a documentary about Lowenstein. Betts shares stories and memories of the late performing arts impresario. The Denver theater community also mourns the loss of Randy Weeks, executive director of the Denver Center for the Performing Arts' touring division, Denver Center Attractions. Weeks died unexpectedly Thursday while on a business trip to London. He was 59.